While it's scary to hear the word "cancer" from your doctor, you may be unfamiliar with its effect on your skin, leading to the question, "Can you die from skin cancer?" Worldwide, there are more skin cancer cases due to indoor tanning than there are lung cancer cases due to smoking, according to the Skin Cancer Foundation. Can you die from skin cancer? If you don’t know someone in your circle who’s been diagnosed and treated from skin cancer, you may have a preconception that skin cancer is treatable 100 percent of the time. But each type of skin cancer carries its own survival risks. Melanoma is the deadliest of all types and yes, you can die from the disease unless it is detected early and treated successfully. Death from squamous cell cancer is possible but much less likely than from melanoma, and death due to basal cell carcinoma is unlikely, but early treatment is needed nonetheless. The lifetime risk of getting melanoma is about one in 40 for Caucasians, one in 200 for Hispanics, and one in 1,000 for African-Americans. The average age of people diagnosed with melanoma is 62, but it can begin at almost any age. Five-year survival rates depend on the stage, and stages are on a scale of zero to four. Stages are determined by 1) how deeply the tumor has penetrated, 2) if there has been a break (ulceration) on the surface of the tumor, 3) involvement of lymph nodes, and 4) metastasis (spreading to other organs). Survival rates are estimates only. Age (older), ethnicity (African-American), and a weakened immune system can have a negative effect on survival. Here, according to the American Cancer Society, are stages and five-year/ten-year survival rates. The study included some people diagnosed with melanoma who may have died from other causes, meaning the actual survival rates may be higher. Can You Die from Skin Cancer if You’re Diagnosed With Basal Cell Carcinoma (BCC)? Basal cell carcinoma is the most common form of skin cancer. It is classified as a non-melanoma form of the condition, and accounts for about 75 percent of all skin cancer cases. It almost never spreads beyond the original tumor site, but can do serious damage there if not treated. Mohs surgery is considered the most effective treatment technique. Limiting sun exposure is the single most important measure for prevention of any kind of skin cancer, including BCC. The risk when outside can further by reduced by using sunscreen with an SPF of 30 to 50, wearing pants, long skirts, long-sleeved shirts, and wide-brimmed hats that provide adequate protection. 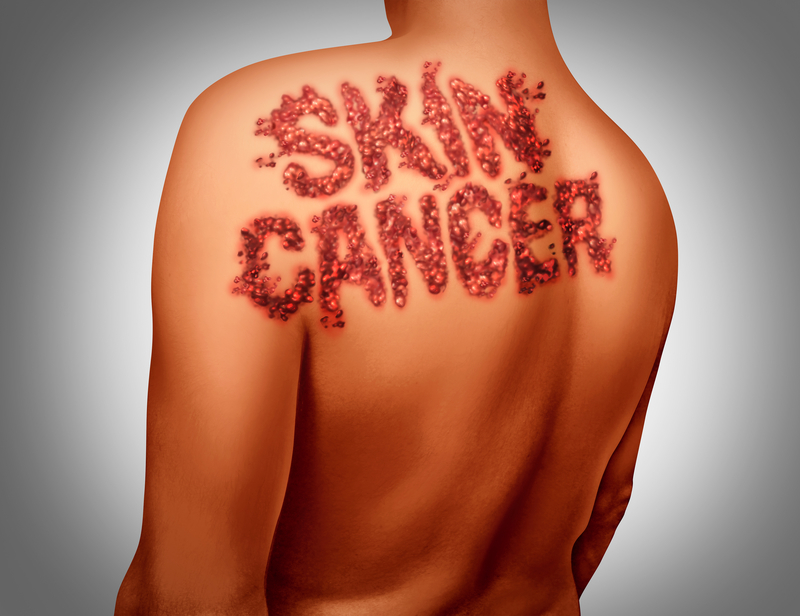 Can You Die from Skin Cancer if You’re Diagnosed With Squamous Cell Carcinoma (SCC)? Squamous Cell Carcinoma usually involves the head or neck and is more likely to spread to other parts of the body than basal cell carcinoma, although this happens infrequently. Patients with specific disease risk factors (tumor diameter greater than 2 cm, location on the temple or ear, for example) are more likely to experience metastasis and die from the disease, according to the University of New Mexico Comprehensive Cancer Center. 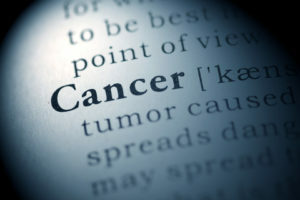 The choice of treatment depends on the tumor’s size, location, depth of penetration, and the patient’s age and health. Of the eight treatment options, five involve surgery. The cure rate is 95 percent if the patient is treated early. To prevent SCC, avoid sun exposure and protect your skin by wearing clothes that cover the arms, legs, face, neck, and ears. Wear SPF 30 to 50 sunscreen on all exposed skin, and stay away from tanning beds. A study of more than 9,000 patients found that people who use tanning beds have a 67 percent increased risk of non-melanoma cancer, including both SCC and BCC. Can You Die from Skin Cancer if You’re Diagnosed With Merkel Cell Carcinoma? Merkel cell carcinoma (MCC) has been compared to melanoma and is often treated like melanoma, but it is different. MCC is a relatively rare form of skin cancer that results in about 2,000 new cases per year—most of them men over the age of 50. The risk continues to increase with age. Merkel cell carcinoma is fatal in approximately one-third of cases. MCC is caused by uncontrolled growth of Merkel cells located in the epidermis. The disease is likely to appear as a painless, red or violet-colored lump on the skin that has been overexposed to the sun, especially the head, neck, and arms. The cells grow rapidly and spread to nearby lymph nodes, then to distant nodes or skin in other parts of the body. In addition to age and exposure to sunlight, risk factors include a weakened immune system, exposure to artificial sunlight, use of drugs that weaken the immune system, and a history of other types of cancer. Treatment might require surgery, radiation, and/or chemotherapy. Early detection and treatment is essential to prevent metastasis. Age spots, basal cell, basal cell carcinoma, can you die from skin cancer, cancer, cancer treatment, carcinoma, chemotherapy, ears, epidermis, health, immune system, melanoma, melanoma cancer, melanoma stages, metastasis, radiation, signs of skin cancer, skin, skin cancer, skin cancer signs, skin cancer types, squamous cell, squamous cell cancer, squamous cell carcinoma, tumor, types of cancer, types of cancer treatment. Before reading this article, I did not know that skin pigmentation is such a strong indicator for skin cancer. My mom always told me to put on sunscreen but I never have been good about it. From now on, I will try to improve so that I do not get cancer. I thought you might be interested in this article on https://universityhealthnews.com: Can You Die from Skin Cancer?